Dr. Mark R. Dixon has been a Board Certified Behavior Analyst for over a decade. He has published 6 books, 130 peer-reviewed publications, and presented over 400 research-based studies worldwide. Dr. Dixon has also generated approximately 2 million dollars in research funding to infuse behavioral treatments in schools, alternative education sites, and other facilities service those with autism or other developmental disabilities. Our First PEAK Hands On Training! will be used to support a Life After Cancer Treatment: What’s Next? educational webinar sponsored by the Foundation for Women’s Cancer (FWC) www.foundationforwomenscancer.org. FWC’s mission is to support women who have or who are at risk for developing cancer by offering awareness, education and research programs. From day 1, researchers across multiple universities have set out to directly test the reliability, validity, and effectiveness of the PEAK Relational Training System. Although there is still much more research to be done, PEAK is one of the most extensively researched, ABA-based language training curricula available. PEAK Relational Training System was developed so that it could be used by teachers, parents, caregivers, and behavior analysts. Although PEAK was created from behavior analytic foundations, instructions are written in a non-technical way so that everybody can understand. Several training opportunities are offered each year, ranging from a comprehensive PEAK certification program, to conference presentations and poster displays of new data. The PEAK: Relational Training System is a comprehensive approach to ABA Therapy, which embraces traditional verbal behavior accounts of basic language and incorporates contemporary behavior analytic strategies for promoting relational responding (a broad repertoire of learning meaning through relations between stimuli) which are responsible for our ability understand and use abstract language. Created in the Spring of 2008, Mark R. Dixon in response to the growing need for a contemporary, comprehensive, and easy to use ABA assessment and treatment program for children and adults with autism and related conditions. Over the next 6 years, PEAK evolved from a series of protocols that Dixon field tested throughout a handful of public school and clinical settings in Illinois, to a series of 4 books that each contained sections of the entire curriculum. Quickly after PEAK was released to the public, it became a leading language and cognitive training technology for use with this population, adopted by thousands of behavior analysts and school teachers worldwide. The commercial release was also accompanied by a handful of peer-reviewed scientific research studies that demonstrated PEAK’s potential as a reliable and valid assessment, and its potential for producing strong outcomes in persons with autism. Most recently, an independent training and certification entity was eventually developed to ensure accurate training on PEAK and research groups unaffiliated with Dixon have been exploring the power of PEAK with several populations. Some of the most prolific researchers of the PEAK system include Jordan Belisle, Caleb R. Stanley, Kyle Rowsey, and Autumn McKeel. These authors have all published multiple first-authored studies on PEAK, and this list is likely to grow along with the widespread use of PEAK to establish new, flexible skills in individuals with disabilities. This is the most exciting behavioral product to hit the market, bar none. 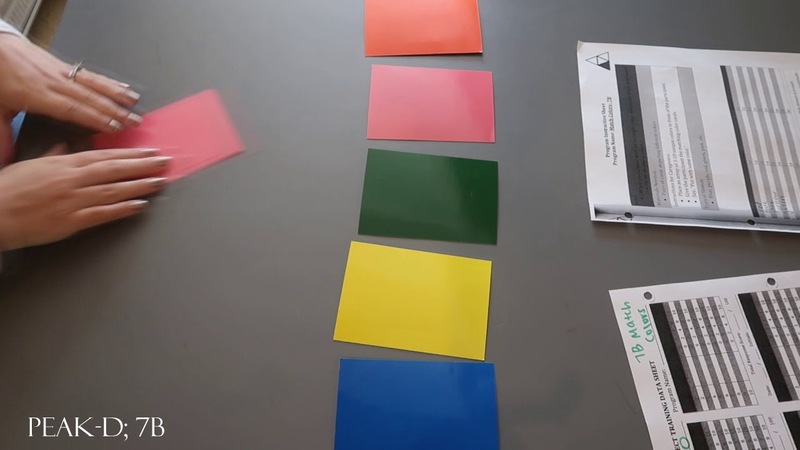 The PEAK Relational Training System is the ONLY protocol that fully accounts for the complexities of verbal and cognition for learners with autism. This program has been the best thing to happen for my son. PEAK is simultaneously user friendly and elaborate. The modules are clearly explained and built for ease of implementation, but they reflect a sophisticated and ambitious curriculum. A client who completes PEAK will learn skills that are not even dreamed about in many other manualized curricula.